Pat Sajak and Vanna White are coming to Boston. The popular TV game show Wheel of Fortune will be taping episodes in town this fall, with local contestants. 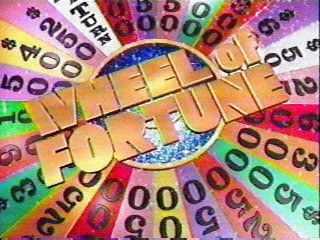 The Wheel of Fortune show tapings will take place September 3-5 at the Boston Convention & Exhibition Center. There will be opportunities for local people to become contestants and audience members. The Wheel Mobile will be in Boston in late June to conduct the contestant search. Details on locations and times are still being worked out. "We're taping three weeks of shows," Sajak told TV38's Kate Merrill on Friday. "It's been a long time since we've been there and we're looking forward to coming back and meeting all our friends again from New England." "We do a lot of shooting around town and getting a chance to look at some of the sites. There aren't a lot of cities with more to see than Boston," Sajak said. "We're coming a little early to do some taping around the city," Vanna revealed, though the pair was mum on when that might be. Wheel of Fortune airs in Boston on TV38 at 7 p.m. Keep watching TV38 and checking TV38.com for upcoming information on the contestant search and how you can be part of the audience.